Develop packages for eco-restoration of degraded forests and problem sites including mined out overburden dumps, salt affected lands, waterlogged sites along dams and canal command areas, marginal and wastelands. Conduct studies on climate change and carbon sequestration potential of tropical forest tree species in plantations, natural forests and agroforestry systems. Valuate natural forests and plantations for their tangible and intangible benefits. The Biodiversity and Sustainable Management Division of the Institute came into existence in April, 1992. The major research activities of the division are - The Biodiversity studies in the protected areas, extent of species richness through communities', identification, regeneration status, demarcation of biodiversity rich areas, and study on soil chemical properties and preparation of baseline data for assessing impact of protection on vegetation. During November, 2001, the Forest Botany Division of the Institute was merged in Biodiversity and Sustainable Management Division as per the order of the Hon' Director TFRI. The research activities carried out by this division are - the floristic survey, ethno botanical studies, development of botanical garden, ex-situ conservation of rare and threatened plants. The research activities mentioned above are now conducted by Biodiversity and Sustainable Management Division. Major research areas of the division are climate change, valuation of plantations and forests for tangible and intangible benefits and eco-restoration of degraded lands. Forest soil and land management. Project Title : Documentation and distribution of Forest Invasive Species (FIS) of Jabalpur, Katni, Mandla and Seoni districts of Madhya Pradesh. Project Title : Investigation on floristic diversity in teak plantation of various age groups in Barnawapara Project Division, Raipur, Chhattisgarh. Project Title : Soil �vegetation atmosphere -Carbon flux monitoring and modeling- sub project of National Carbon project. Project Title : Ecological assessment of diversity of medicinal plants in conservation areas of Chhattisgarh and strategies for their protection. Vegetation Data are being collected and preparation of Herbarium is in progress. around NTPC- Ramagundam Super Thermal Power Station. Eco-restoration in mined areas : Technological packages (engineering and biological) for reclamation of mined areas (coal, iron & copper) through systematic research have been developed and perfected. Extent of application in the field :The technological packages developed are being utilized by South-Eastern Coalfields Ltd. (SECL), Northern Coalfields Ltd. (NCL), Steel Authority of India Ltd. (SAIL), Limestone mine Authority etc. Application of Technology: A specialized training for one month was conducted for SAIL executives (40 persons) on eco-restoration of mined areas. 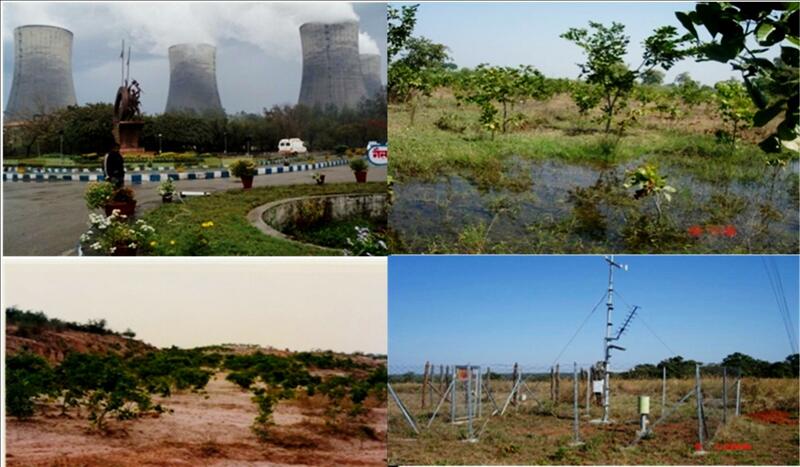 Eco-restoration work has been taken up at Dalli-Rajhara and Mahamaya iron mined areas under Bhilai Steel Plant (BSP). Pollution absorbing efficiency of plants: Trees have been graded and indexed according to their sensitivity/tolerance on the basis of percent leaf area damage, reduction of chlorophyll, N and P contents, reduction of sugar and ascorbic acid etc. More than 50 tree species have been graded according to their tolerance to thermal power plant and lime kiln emissions. Soil: Compost combination for pit filling was worked out and nutrient uptake by test species was determined for various treatments applied. Different sources of nitrogen were tried & the best one selected. 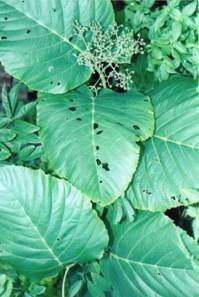 Effectiveness of mulches was tried with Albizia procera as test species. Project Title : "Identification of species and ethno-botanical survey (Biodiversity assessment of People�s Protected Areas (PPA�s) of Chhattisgarh)"
Achievements: Field survey was conducted in 9 People�s Protected Areas maintained by Chhattisgarh Minor Forest Produce Federation, located in 5 divisions to document the floral diversity. Phyto-sociological (qualitative & quantitative values for structure & composition) studies have been undertaken in 0.1 ha. at each sites in all the nine PPAs. Data were recorded from 50 sample plots of each PPAs. The vegetation data are quantitatively analyzed for density, frequency and basal areas. The relative values of frequency, density and dominance are determined. These quantities have been summed up for getting Importance Value Index (IVI) of individual species. On the basis of IVI, dominant, co-dominant and main associates are recognized at different sites. 362 species (trees, shrubs, herbs, grasses and climbers) form PPAs have been recorded and identified. The threatened and present regeneration status of the species of the study area has been enlisted for their proper conservation. Ethno-botanical data has also been collected from these PPAs. More than 201 medicinal plants and their uses were recorded from these PPAs. Plants of these PPAs are documented with their local name, scientific name, family, habit, and their medicinal uses. Recommendations for better maintenance of PPAs have been suggested. 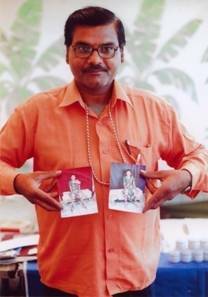 Collection of ethnobotanical data from various tribes of central India, ethno medicinal information (traditional knowledge) from traditional herbal healers (Vaidyas, Ojhas, Guniyas) in selected areas of Madhya Pradesh and utilization pattern of plants in ethno-medicinal uses prevalent in tribal pockets of Satpura plateau of M.P. have been documented. More than 600 plants of forest origin have been documented being used by the Traditional Herbal Healers and tribal people for food, fiber, gum, resin, medicine and shelter purposes etc. Developed regression allometric equations against GBH, height and age to quantify above ground biomass, thus carbon, by non destructive method in more than 20 tropical forest tree species including Tectona grandis, Shorea robusta and Eucalypts. Assessed carbon stock and annual sequestration in natural forests, plantations and agroforestry systems. Economic valuation of plantations for their tangible and intangible benefits was done following Contingent Valuation Method. Eucalyptus hybrid (FRI-4 and FRI-5 clones), followed by Pongamia pinnata and Terminalia arjuna showed the best performance in the management of underground water table along left bank canal of Bargi command area. Eucalyptus hybrid consumed maximum water on per day basis under lysimetric experiments. The status of natural regeneration in the forests of Western Ghats of Maharashtra was found to be 'Good', because density of seedlings > density of saplings > density of trees. Developed packages for reclamation of mined overburden dumps of coal, iron, copper, manganese and limestone, which included selection of suitable species and amendments provided to spoil. Screened superior trees of Azadirachta indica on the basis of azadirachtin content in M.P., Chhattisgarh and Orissa. Azadirachtin content varied from 848 ppm (Sambalpur) to 5263 ppm (Shahdol). 362 species (trees, shrubs, herbs, grasses and climbers) form PPAs have been recorded and identified. The threatened and present regeneration status of the species of the study area has been enlisted for their proper conservation. Ethno-botanical data has also been collected from these PPAs. More than 201 medicinal plants and their uses were recorded from these PPAs. Plants of these PPAs are documented with their local name, scientific name, family, habit, and their medicinal uses. More than 600 plants of forest origin have been documented being used by the Traditional Herbal Healers and tribal people for food, fiber, gum, resin, medicine and shelter purposes etc.